The 602 Club: Episode S12 covers the ebook novella The Perfect Weapon by Delilah S. Dawson. This one does delve into fun spoilers, but it’s an excellent discussion for those who have already read the story. They dive into the characters, the story elements, a possible Kylo Ren connection, what’s in the box, and an interesting parallel between Bazine and the Jedi. Brews and Blasters: Episode #46 features a fansite group interview with Star Wars Rebels voice actress Vanessa Marshall. It’s a fun interview and worth a listen. 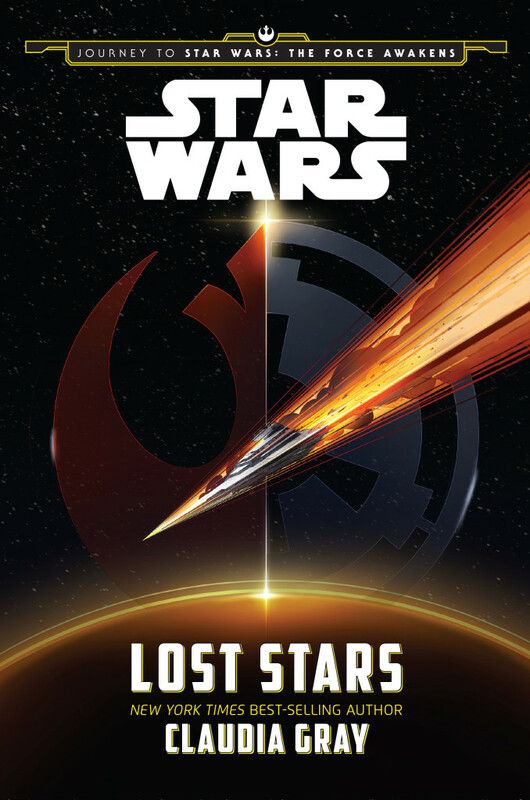 Lost Stars by Claudia Gray is out today from Disney Lucasfilm Press, and weighing in at 550 pages, it’s the biggest of the bunch with the Journey to the Force Awakens books.